Perhaps no Spike Lee movie can better bridge the past and the present than one that posits that this has all happened before, and will again. 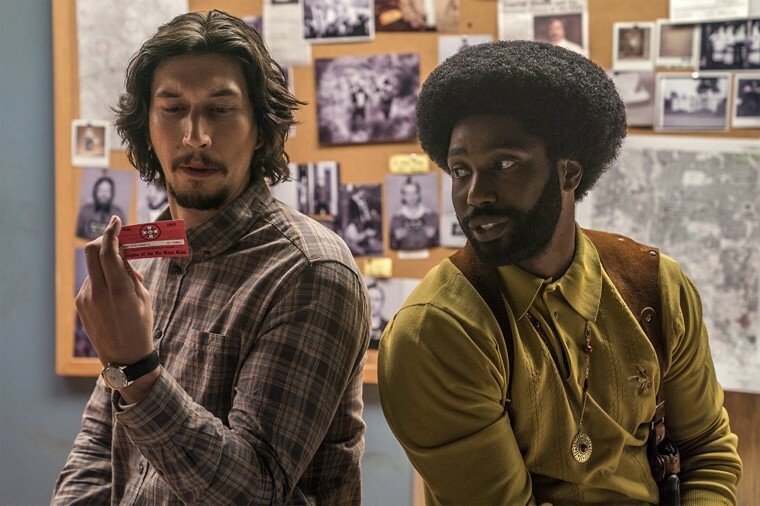 In one poignant scene in Spike Lee's "BlacKkKlansman," Colorado Springs detective Ron Stallworth (John David Washington) discusses with his supervising sergeant (played by Ken Gerito) the then-current rise of David Duke, who (much like the 21st century white nationalist Richard Spencer), cultivated an image as well-spoken and sartorially-inclined in an effort to counter the idea of white nationalists as physically violent, unintelligent miscreants. The mere existence of an Obama administration certainly ignited latent paranoias and fears of government overreach, from conspiracies about his parentage and citizenship to claims that he would destroy the American experiment to the spikes in gun sales following the 2008 and 2012 elections, based in racial animus. But it took the killing of Trayvon Martin and the birth of new social movement — Black Lives Matter — in which we affirmed the value of black life to really deepen racial insecurities in white America. All told, the rise of open white nationalism during the tenure of the first black president and the rise of a new movement for civil rights revealed (if not confirmed) that anti-black racism lies dormant among many "very fine people." So by the time the newest iteration of white nationalists lit their tiki torches and made their way to the base of a confederate statue in Charlottesville, Virginia last August — without white robes or hoods, but in the ordinary uniform of middle class stability, polo shirts and khaki pants, or some in T-shirts and cargo shorts — racist violence could no longer be categorized as isolated incidents, nor a few aggrieved folk fretting over their economic security. They were chronicles of deaths long prior: A scrawny white kid walked into a historically African-American church and murdered nine people at a prayer meeting in Charleston, South Carolina. A white man travelled to New York and picked Timothy Caughman out of a crowd, allegedly stabbing him with a sword and killing him (he pled not guilty and is awaiting trial). A white man spewed hate speech at two women in a Portland, Oregon train and, when bystanders Ricky Best and Taliesin Myrddin Namkai-Meche intervened, he allegedly stabbed them (his trial is scheduled for 2019), just days before his college graduation. Richard Collins III was allegedly stabbed to death at a bus stop in Maryland by a man who had been part of a Facebook group that churned with hatred at minorities (who has pled not guilty and awaits trial in 2019). And yet, as late as Donald Trump's inauguration, the white supremacists empowered by his election were portrayed as natty malcontents exercising their right to free speech, as though imposing further white supremacy in a multicultural nation were simply a matter of rhetoric and not violence. The Spike Lee-directed, Jordan Peele-produced "BlacKkKlansman" re-imagines the very true story of Stallworth, Colorado Springs’ first African-American officer who in 1979 infiltrated a local KKK chapter, showing that the violence is inherent to any white supremacist movement, no matter how snazzy the uniform. "BlacKkKlansman" is a satire that Lee situates in the vernacular of blaxploitation films; in multiple moments, he juxtaposes two extremes to the audience in order to reveal the illogic in how black pride (or even simply black equality) provokes white rage. Lee draws a clear a line of logic for white Americans flummoxed how the Klan could rise after the national campaign for civil rights in the 1960s led to the passage of the civil rights, voting rights and fair housing acts, showcasing how the political and engaged consciousness of black Americans was seen by some as a wholesale threat to the comforts of American life for white people. The symmetries between that world, 40 years ago, and today are as stark as they are alarming, befitting a pattern of American society in which progressive progress is turned back by revanchism, edifications of past ingloriousness and incidents of racial violence initiated by white men loosely affiliated with white nationalism. It is in that version of America, not the supposedly post-racial Obama's America, that "BlacKkKlansman" opens. Belew, in a recent interview said, “I think what history shows us is that this is a movement with flexible ideologies that is capable of going underground when there is pressure and then reemerging when there is not.” At the end of Civil Rights Movement, during the ascendancy of the Black Power and antiwar movements, the overt racism typified and promoted by the Klan had receded, spurring a crisis within the white nationalist movement. Public opinion had turned against displays of naked anti-black racism in public life (except in instances of desegregating schools in northern cities, as we saw in Boston). Racism, at least in its most overt expression, was deemed a product of the old, the uneducated, the unrefined. And so, David Duke tried to help them remake themselves as respectable, even as respectability seemed to become synonymous to presenting a public self as "colorblind." 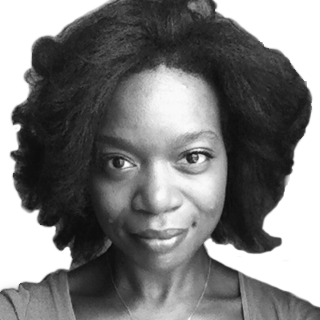 But in the "post-racial" world, when racism could be deemed "ironic" and was encouraged or at least tolerated by some elites and the elite-adjacent who, for the first time, found themselves in competition for access to real power, the pressure was off, and the movement seized this moment to reemerge. In Spike Lee's retelling of the real-life "BlacKkKlansman," he seems to be trying to tell us that time is not passing; it is turning in a circle. Charlottesville’s tragedy is never far from Lee or our consciousness; it is, in fact, the footnote on which he closes out this surreal trip in the near-past. With his signature editing move, we flash forward from the 1970s America of the film to last August’s counterprotest, inside the thick, blood-curdling screams of our fellow Americans who were just hit by a speeding car. Perhaps no movie in Lee’s oeuvre is better designed to bridge the lessons of the past with present realities than one that posits that this has all happened before, and will happen again.